Surprisingly clever and simple in design, the Ora teapot and teacups are affordable, well made and a pleasure to use. The humble looking Ora teapot comes with a (overly trendy) cork lid and a wire coil strainer in the box that works surprisingly well (I’ve used it with green and oolong tea). The company also makes matching tea cups that come in a set of two. 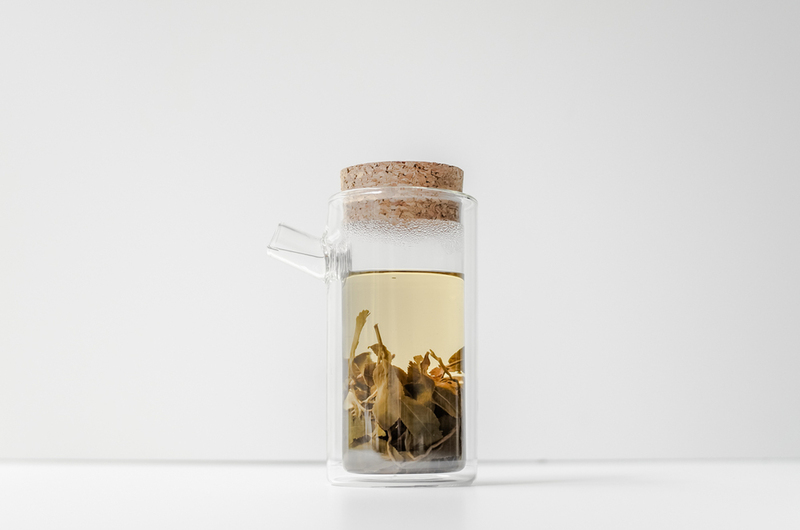 Both the teapot and cups have a double-walled design that keep heat way from the outer walls, eliminating the need for a handle. This also helps insulate the tea inside, making it a truly functional design. I really like the simple, primitive aesthetic achieved via the usage of double walls and appreciate the utilitarian nature of the objects. It's an unpretentious, functional product that you'll want to use everyday. As you may know, I’m a huge fan of Aēsop’s products for their beautiful aroma and design. This is their first venture into creating a fragrance; the unisex Marrakech Intense. They had an earlier second iteration of the same scent, but the original lacked staying power so the intensity was cranked up – hence the name “Marrakech Intense”. In terms of aroma, Marrakech is woody, spicy, with a touch of floral. It's a smooth and natural smell that's also sophisticated. Distinctively Aēsop is the best way to describe it. I’ve received many compliments for wearing this, and I agree with Aēsop, the Marrakech is inoffensive and neutral, making it a good choice regardless of gender. The Lamy Pico makes a good everyday pen. Using a spring-loaded mechanism, it collapses into a compact size, not much bigger than a lip balm. When expanded though, it's almost as big as a regular pen making it comfortable to write with. Some may find the Pico a bit thick for extended writing though. The pen uses Lamy's M22 ballpoint refill, which is one of the smoother ballpoint tips I’ve used. The outer shell is largely made from brass but doesn’t feel as premium as it should, due to the largely plastic interior construction. Overall, the Pico is a fine pen with an appealing design. You will get tired of people asking why you have a tampon on your desk though. There have been many smart watches predating the Apple Watch, but this is the first one worthy of being called a “watch”. It’s built with the precision and craftsmanship comparable to products an order of magnitude more expensive. It's a true expression of what Apple's best at - great hardware. The Apple Watch is made from sapphire, stainless steel, and ceramic, all of which really make it a beautiful object to behold. If you're in the market for one, I'd recommend the stainless steel watch; the aluminum sport model is a disappointment, with an unappealing finish that comes off feeling a bit cheap and unrefined. Where the Apple Watch becomes more difficult to judge is in its functionality. Just like the first generation iPhone and iPads, it's too early to make any concrete conclusions about its validity as a product. If you live in an Apple ecosystem though, I think you’ll largely enjoy having the Watch on your wrist. It’s not something I’d call a must-buy just yet, but if you get one out of curiosity, you won’t be disappointed. Personally, having notifications, alerts and fitness tracking on my wrist is enough of a reason for me to charge this thing every night. It’s easy to be skeptical and negative about the Apple Watch but once you use it, you won't want to take it off. It grows on you. Slowly, but it will. Constructed almost exclusively from machined stainless steel parts, the Link Bracelet is easily the most impressive band available for Apple Watch. There two big innovations here: the links can be removed without a tool and the butterfly clasp is the thinnest I’ve ever seen. It’s beautiful, precise and a bargain at $449 when considering the number of machined components it's made of. Like other stainless steel watch bands, you'll end up scratching this one up during regular use. It's not a big deal though, as stainless steel is an easy material to refinish. I’ve always liked Milanese straps for their comfort and the Apple Watch’s is no exception. The Milanese Loop is made from woven stainless steel coils, forming a fabric-like mesh. The strap closes impressively using a magnet, which makes it infinitely adjustable. I like the comfort this one offers but am a bit conflicted about it’s almost retro design. This is a good option if you want a comfortable yet premium option but don't like the leather straps that are available like myself. The Sport Band on the Apple Watch is made from fluoroelastomer, which is a dense, durable material that is also very pliable, making it immensely comfortable. Marc Newson’s influence is clearly shown here: the Sport Band has nearly identical in design as the beautiful Ikepod Hemipode’s strap. I’ve tried every Apple Watch band and the Sport Band is possibly the most comfortable for me. Many people just talk about how expensive the Apple Watch is, but this is an example of how Apple is bringing truly luxurious craftsmanship to the masses. If this had a Swiss watchmaker’s logo on it, it would have been several hundred dollars more expensive. The only problem I have is that most of the colors are unappealing and far too vibrant for my tastes. I had originally purchased a white band but didn't like the color in person (it's too bright) so I ended up swapping it with a black one. Finding a simple leather strap can be a surprisingly hard task. A friend of mine discovered Gordy’s at our local Leica Store so I picked one up for my Leica T (I'm using a T Strap Lug Kit from Match Technical). Gordy's strap has a dead simple construction and is devoid of any adjustability or padding, which is just the way I like it. While it isn’t exactly made with a high level of precision, you can’t go wrong with its amazingly low price. I needed new glasses last month so I decided to go with the Mercer by one of my favorite brands, Mykita. If you haven’t heard of them, they are an eyewear manufacturer based in Berlin that makes exclusively handmade frames. I’ve always like them due to their clever construction and manufacturing methods. The Mercer uses Mykita’s skrewless hinge, which uses interlocking stainless steel components to form a hinge. It’s a clever design that is not only more durable than traditional hinges but also feels like a Mercedes’ door to close; it’s German after all. I’m happy with the Mercer but I can’t help but feel like these eyewear brands still need to charge us less. Camper always manages to make awesome stuff and I fell in love with the Mortimer at first sight when I was in Milan last month. The Mortimer is the manifestation of what Camper is all about – an element of surprise. You may only notice the beautifully matte pigskin at first glance but upon closer inspection, you’ll see details like the angular rubber outsole and the unique molded forms. It’s a smart and modern take on a familiar type of shoe. For the sake of my sanity, I recently purchased these refillable pump bottles from Muji so that I didn’t have to look at ugly hand soap packaging. It pumps well, and looks better than anything on the shelves of Safeway but I wonder if I’ve gone insane by buying a PET bottle for $4.5. The fact that Xiaomi is able to produce something so well made for just $14 is precisely why we should keep a close eye on them. The finish of the aluminum on the Power Bank is pretty damn nice and simply amazing when you consider how cheap this product is. It's certainly better than any aluminum finish you'd find on a Samsung product. The model I went with has a capacity of 10400mAh, which holds enough juice to charge an iPhone several times. I took mine to Europe and it only needed to be recharged every other day, even with my friend recharging his phone with it. Once Xiaomi begins to produce original designs, they're going to be a force to be reckoned with.